As India and Israel ramp up trade, Jews of Indian origin are viewed as the key to forging closer ties. New Delhi has a plan to foster closer connections between Israelis with Indian roots and their ancestral homeland. Political leaders in India and Israel are strengthening their economic and political ties with an unexpected cultural connection: their shared community of Indian Jews. There are about 80,000 Israelis with Indian origins, while an estimated 5,000 remain in India, according to the Indian Embassy in Tel Aviv. New Delhi has a plan to foster closer cultural connections between the Israeli descendants of Indians and their ancestors' country of origin. "We hope to have a package tour to Jewish heritage sites in Mumbai and elsewhere by early next year," said Jaideep Sarkar, India's ambassador to Israel, the Press Trust of India news agency reported. Sarkar announced the project in front of more than 3,500 Jews of Indian origin at the third National Convention of Indian Jews in Ramla, Israel, last Thursday. "We want to tell the world proudly about the rich Jewish life in India," Sarkar said. "With your efforts, we are working to preserve the Jewish heritage in India." New Delhi and Tel Aviv formally established diplomatic ties in 1992, 45 years after the official founding of Israel. Efforts to further develop this political and economic relationship have intensified under the current leadership of Indian Prime Minister Narendra Modi. Since Modi took office in 2014, India has become the largest customer for Israeli military equipment. The world's largest democracy opted to purchase Rafael's Spike anti-tank guided missiles over the American model of Javelin missiles, a deal worth $525 million (472 million euros). The two states even are set to establish a joint aerial defense system. The leader of the ruling Bharatiya Janata Party (BJP) is also set to become the first Indian prime minister to visit Israel. New Delhi and Tel Aviv are in the midst of negotiating a free trade agreement. In 2014, bilateral trade was worth $4.5 billion. Though the first physical record of Jews in modern-day India comes in the form of 1,000-year-old copper plates, oral tradition dates their arrival their to over three millennia ago. 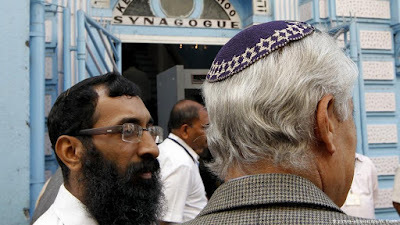 India is home to three ancient Jewish communities: the Bene Israel, centered in and around Mumbai; the Baghdadi Jews, near Calcutta; and the Cochin Jews, around Kerala. Another group, the Bnei Menashe, from the northeast, was recognized as one of the Lost Tribes of Israel in 2005. 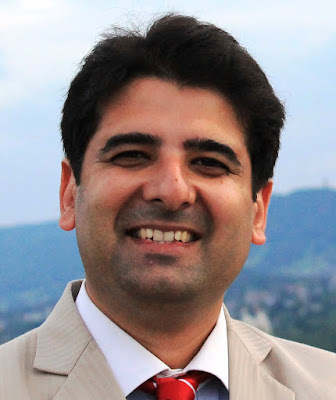 According to Dr. Navras Jaat Aafreedi, an assistant professor at India's Gautam Buddha University, Jews have flourished as one of the Hindu-dominated country's many religious minorities. "The only Jews who didn't come to Israel with baggage of sad memories were Jews from India," Aafreedi told DW. "They cherished their memories of the country." The majority of India's Jews made their aliyah, or migration to Israel, after India became independent from Britain in 1947. According to Aafreedi, each community left for their own reasons including Zionism, marriage partners, better economic prospects and fears of life without the privileged status held under British rule. By supporting events such as the National Convention for Indian Jews and expanding Jewish heritage tourism, India's government is strengthening diplomatic relations through identity. "The important thing is to continue what you began so well and pass on the spirit and idea behind the convention to the next generation," Sarkar said at last week's event. "The house of Indian Jewish unity has a strong foundation. Now we have to build upon it." Projects around India are trying to kindle the memory of the dwindling Jewish community. One such project is Recalling Jewish Calcutta, a digital archive striving to document the remainder of a once-influential Baghdadi Jewish community whose population has fallen to fewer than 20 people. Aafreedi believes that programs like the tour of Jewish heritage sites in India are important to preserve Indian Jewish identity. "This is certainly a very good step because the first generation migrants continue to have a great love of India, the country they left, but the second generation doesn't have the same sense of bonding with India," he told DW. "This [program] can renew the bond that the first generation feels and can ignite that feeling also among the second and third generation of Indians in Israel." Indian Jews in Israel may be the key to ensuring the memory of India's once-thriving communities survives as members continue to emigrate or pass away.